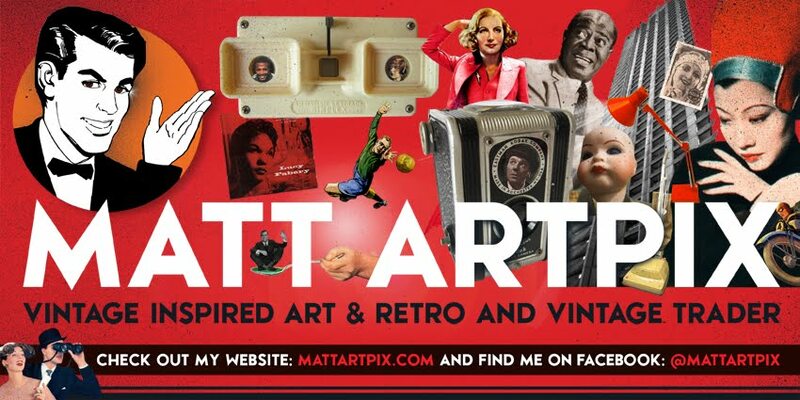 Matt ArtPix: DOWN IN DEVON! I'm back from delightful Devon after a fantastic few days whistling around the West Country! We even had amazing weather and were able to go on some stunning walks. 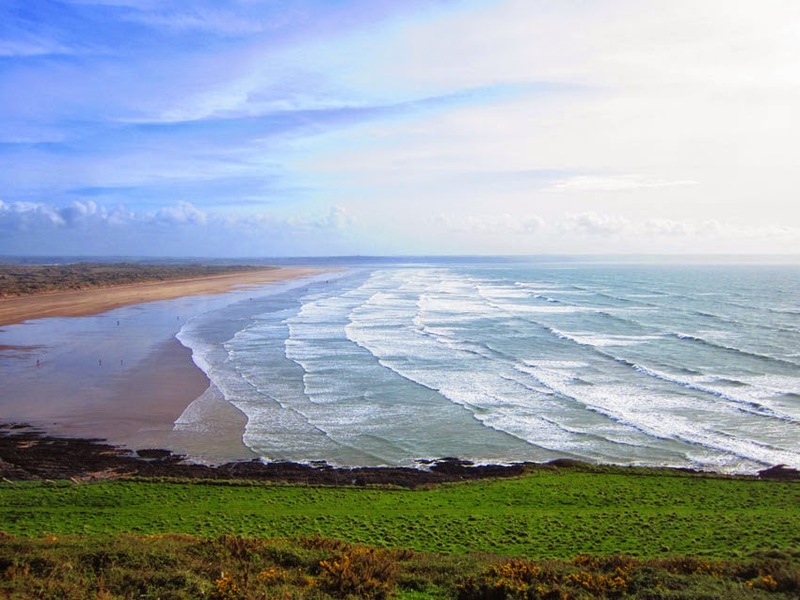 We sauntered around Saunton Sands, got blasted by the wind at Crow Point and took strolls around Ilfracombe and Woolacombe. 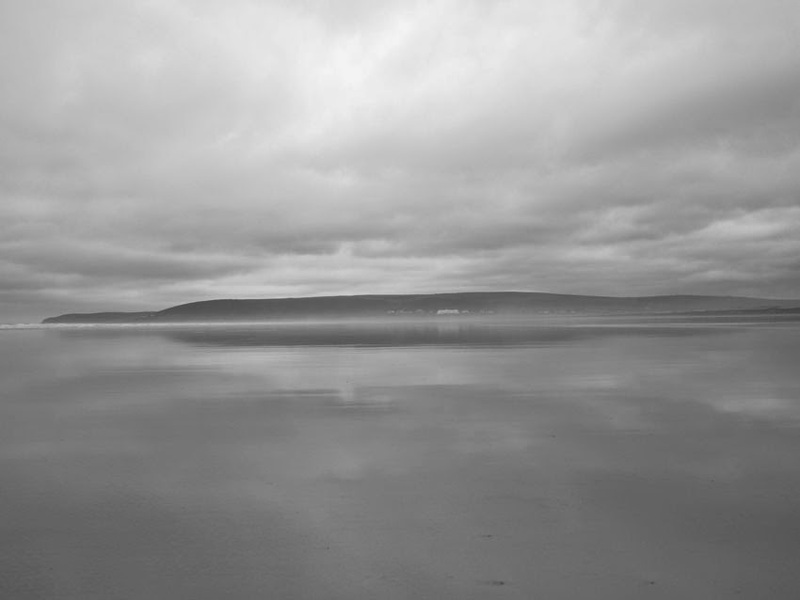 Marvellously moody moment at Saunton Sands, looking towards the white Art Deco hotel in the distance. 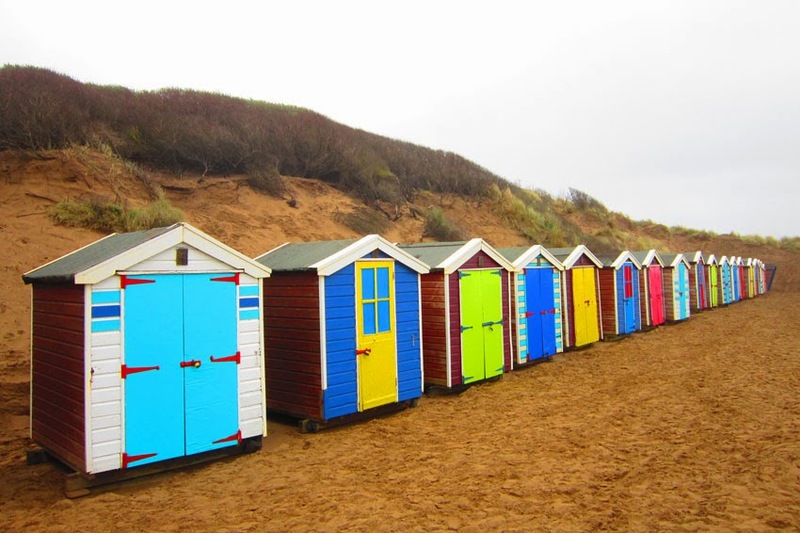 Fantastic splash of colour on these beach huts at Saunton Sands. 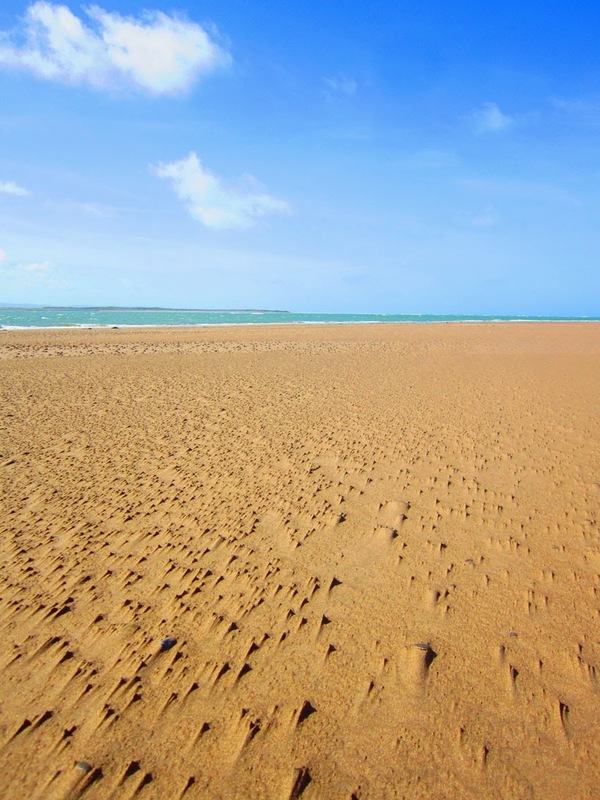 The enormous sweep of Saunton Sands, with Braunton Burrows behind it. 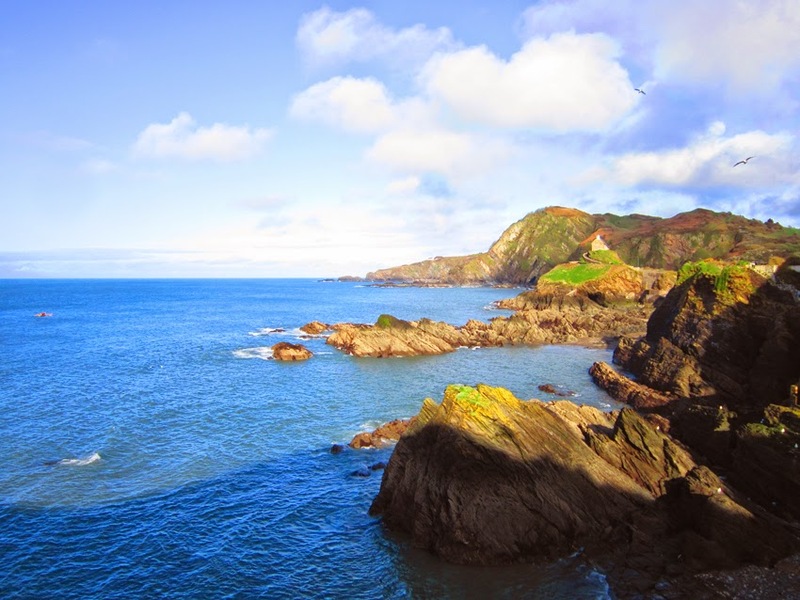 Along the coast from Ilfracombe, looking towards St Nicholas Chapel on Lantern Hill. 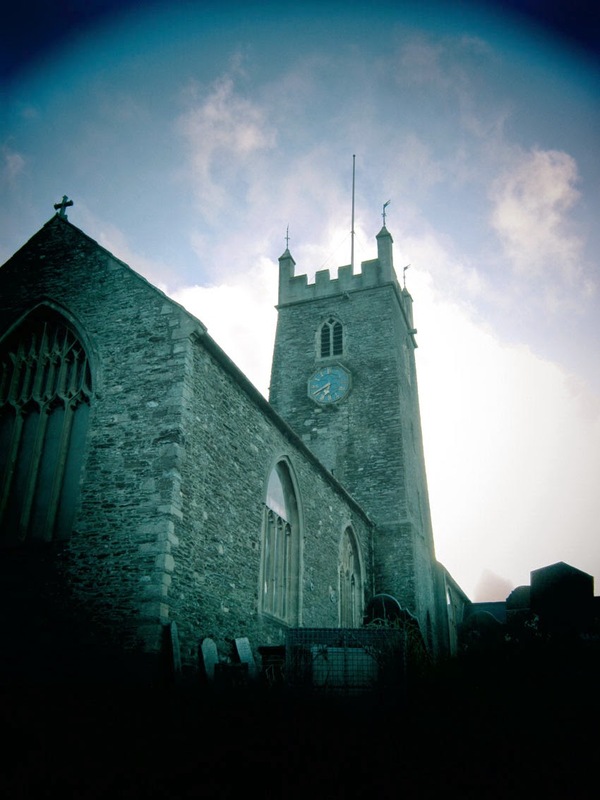 A ghostly Holy Trinity Parish Church at Ilfracombe. 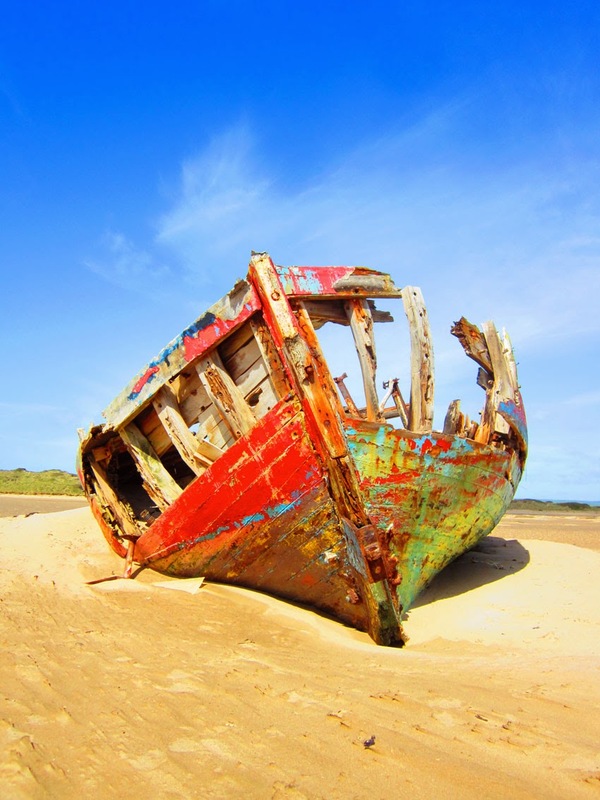 The enigmatic wreck of a boat at Crow Point. 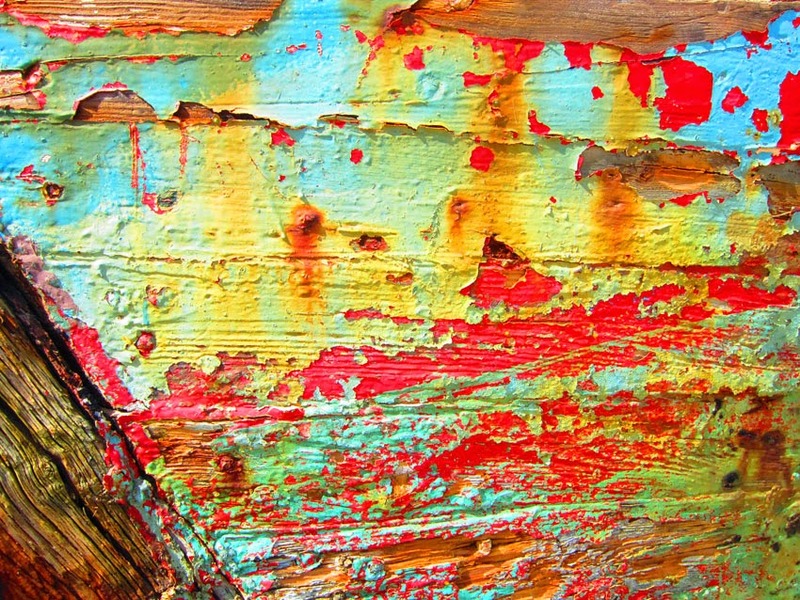 The boat still has stunningly vivid paint, creating brilliant textures. 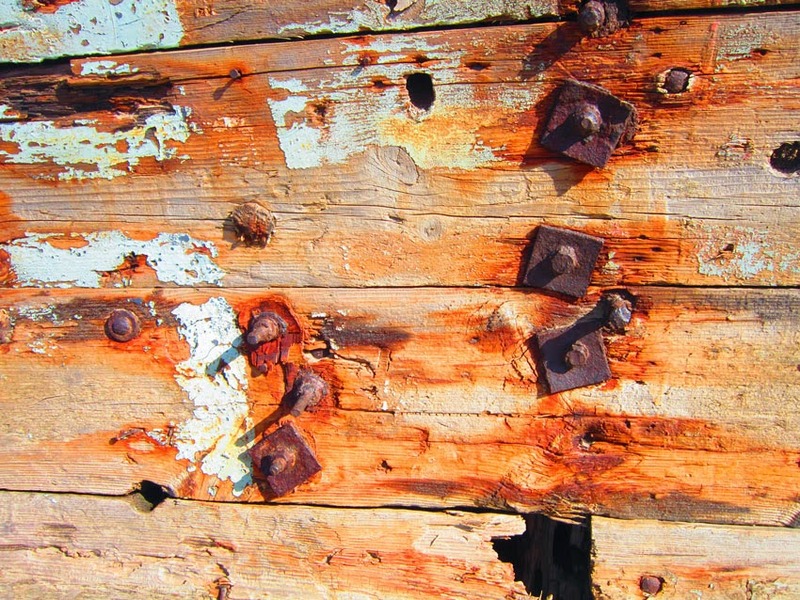 Wood and metal textures from this amazing boat. The strong winds at Crow Point created these unusual little sand sculptures. 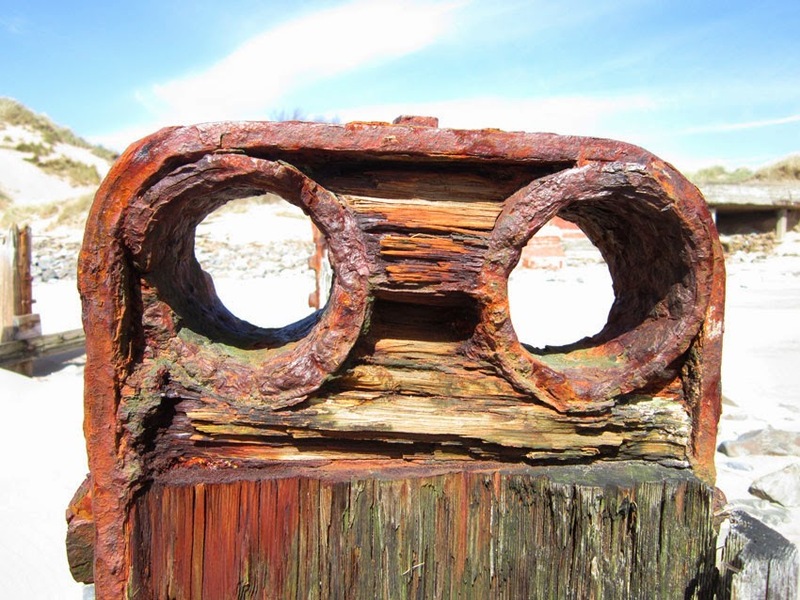 More interesting rusty ruins on the beach there. 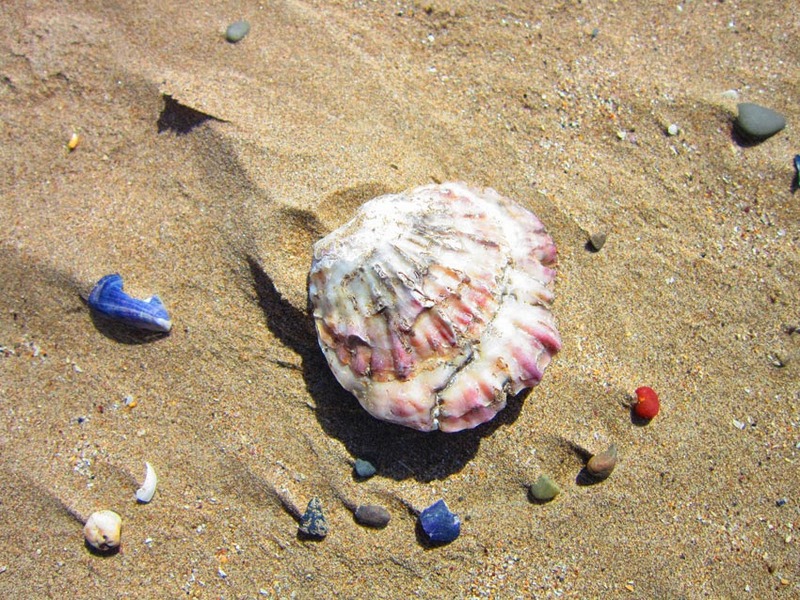 Nice assortment of shells and stones, again at the wild Crow Point. Don't worry vintage fans, we still managed to sneak in a visit to a vintage fair!! Had a great time at the Vintage & Retro Monthly Fair in the Cedars Inn near Barnstaple. 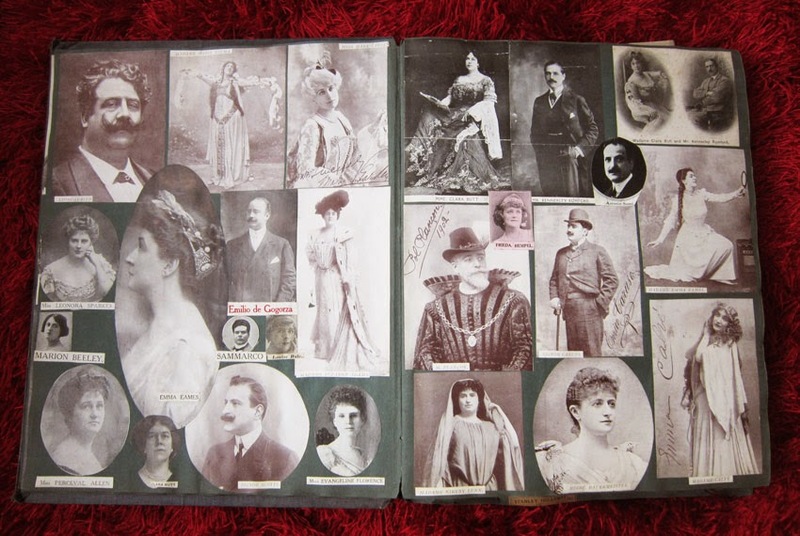 Amongst the many goodies I bought, was a truly magnificent Edwardian scrapbook. 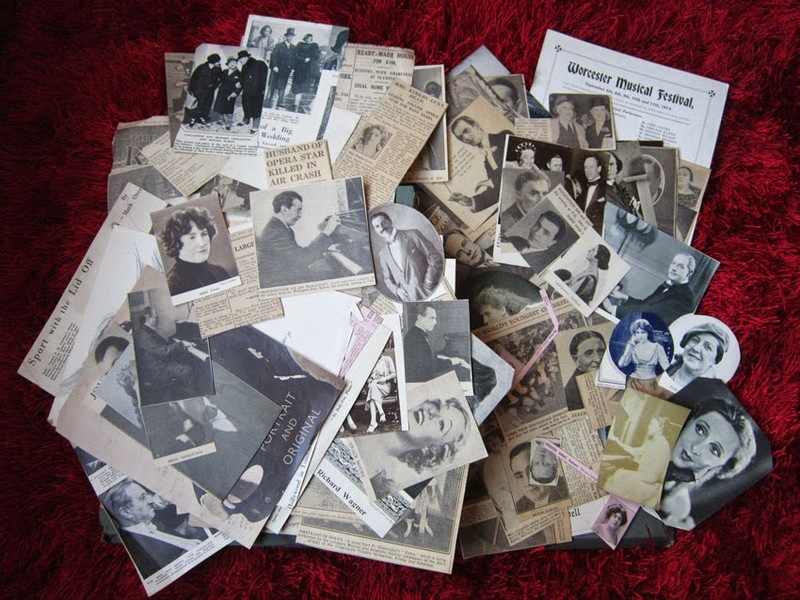 It's absolutely jam-packed with newspaper cuttings and bits and pieces from the world of classical music and opera. It really is a labour of love from a real fan. Even the tiniest little portrait or review has been cut out and pasted in. And at the back is a huge pile of extra cuttings that were never stuck in. The whole thing spans the 1900s, or possibly earlier, to the 1930s. What a find! 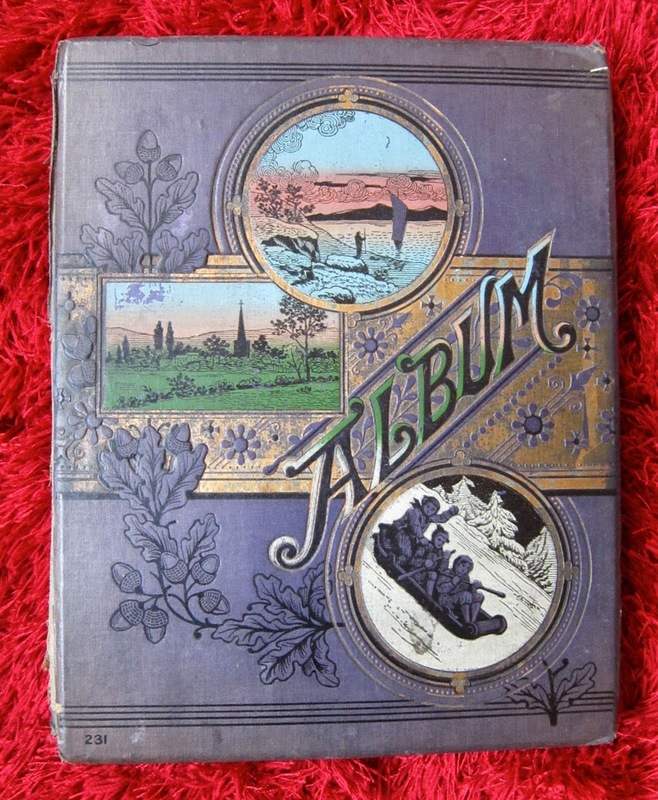 Lovely cover of the Edwardian scrapbook. 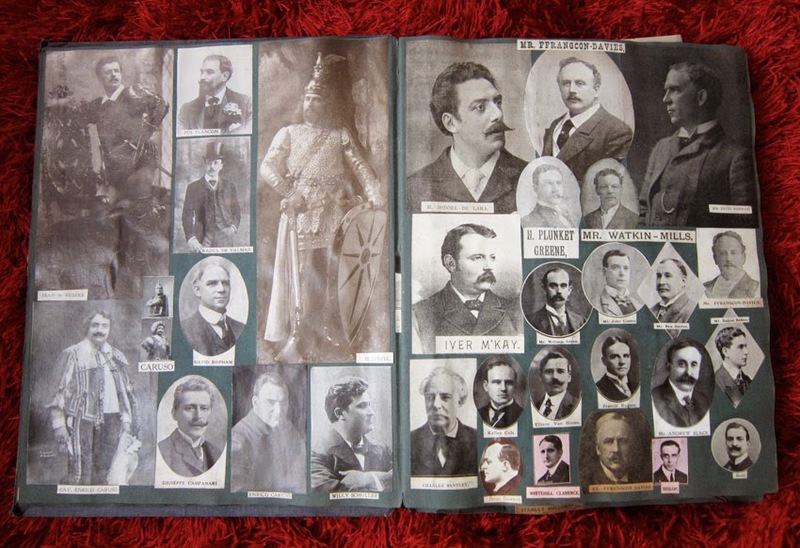 Pages showing Edwardian opera singers. An example of some of the tiny portraits carefully cut out and stuck in. The jumble of extra cuttings found at the back. Absolutely brilliant! At the fair, I also picked up a few flyers for vintage fairs down in Devon. I'm very tempted to have a go, watch this space! !